The National Thoroughbred Racing Association (NTRA), Daily Racing Form and the National Turf Writers And Broadcasters (NTWAB) today announced that Ryan Goldberg has won the 2012 Media Eclipse Award for Writing in the Feature/Commentary category for his article on the strong father-son bond between Eibar and Keiber Coa in “Keiber Coa Presses on a Year After Father’s Fateful Spill,” which appeared in the Daily Racing Form ‘DRF Weekend’ edition on July 7. This is the first Media Eclipse Award for Goldberg, a native of West Long Branch, N.J., who now resides in Brooklyn, N.Y., and is a freelance contributor to Daily Racing Form. Goldberg earned an Honorable Mention in the 2011 News-Enterprise Writing Media Eclipse category for an article on Lasix, which also appeared in Daily Racing Form. The 42nd Annual Eclipse Awards dinner and ceremony will be held on Saturday, January 19, 2013, at Gulfstream Park Racetrack and Casino in Hallandale Beach, Fla.
Goldberg opens his story about the Coas on February 18, 2011, where Keiber, just one week enrolled at the Laffit Pincay Jockey School in Panama, learns over the phone from his stepmother of his father’s horrific fall that day in a race at Gulfstream Park in Florida. Flying home the next day, Keiber finally meets his father after six hours of surgery to repair a C-4 vertebra in his neck. After seeing Eibar in such a perilous condition, the older Coa would not have been disappointed if his son decided against becoming a jockey. But as Goldberg relates, things turned out differently, as over the next 19 months Eibar becomes a successful apprentice jockey while his father, though he will never ride again, experiences a remarkable recovery. Watching Keiber ride presents uncanny similarities to his father. His back is arched the same, in an almost straight line across. His hands quietly hold a horse’s reins high up the neck. He uses the whip the same, a sudden snap to a horse’s rear. There is a pleasing fluidity to it all. Upon reflection, it is also bittersweet. One day Keiber will fall. And his father will be watching, and the defenses he has erected within himself will be tested. Honorable mention went to Barbara Livingston for her story on trainer Danny Perlsweig and his former Juvenile champion Lord Avie, which appeared in Daily Racing Form on May 26. The panel of judges for the Feature/Commentary Writing category was comprised of Lynne Snierson, former award-winning sportswriter and current freelance journalists covering the racing industry Reid Cherner, sports writer and columnist for USA Today and Hank Wesch, former San Diego Union Tribune racing writer. The Eclipse Awards are named after the great 18th-century racehorse and foundation sire Eclipse, who began racing at age five and was undefeated in 18 starts, including eight walkovers. Eclipse sired the winners of 344 races, including three Epsom Derbies. The Eclipse Awards are bestowed upon horses and individuals whose outstanding achievements in North America have earned them the title of Champion in their respective categories. 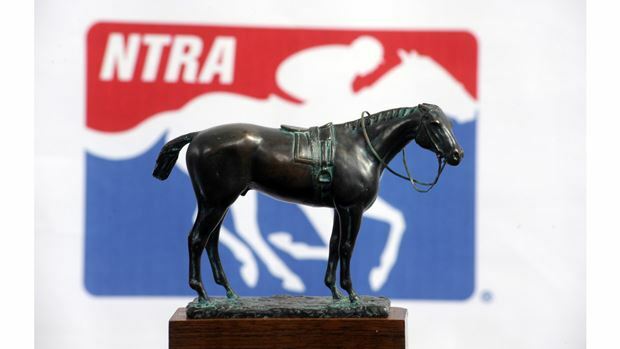 Those awards are voted by NTRA, Daily Racing Form and the National Turf Writers and Broadcasters (NTWAB). Eclipse Awards also are given to recognize members of the media for outstanding coverage of Thoroughbred racing. The Eclipse Awards are presented by Daily Racing Form, The Stronach Group and Breeders’ Cup and produced by the National Thoroughbred Racing Association (NTRA). Official Partners of the Eclipse Awards include Adequan, Besilu Stables, Keeneland, Kendall-Jackson, NOA Watches and Roberts Communications. The official hotel of the Eclipse Awards is the Westin Diplomat Resort and Spa. Tickets to the Eclipse Awards are available for $375 each. Order forms for tickets are available at http://ntra.kinsta.com/en/eclipse-awards/2012-2013-awards/. Hotel Reservations at the Westin Diplomat can be made at https://www.starwoodmeeting.com/Book/eclipseawards. For additional information, please contact Michele Ravencraft of the NTRA at mravencraft@ntra.com.